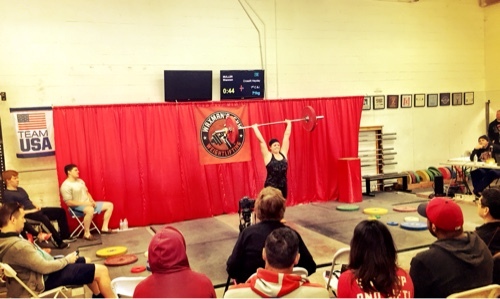 Shannon Muller participated in her first Olympic weightlifting meet, the “No Pressure” Open at Waxman’s gym. Although it was a no pressure meet and there was no winners or trophies awarded, Shannon left the competition having completed the most way overall among the women competitors. If you see here make sure you give her a huge congratulations. She worked really hard. I see many many more in her future.